Do you have a favorite burger joint? 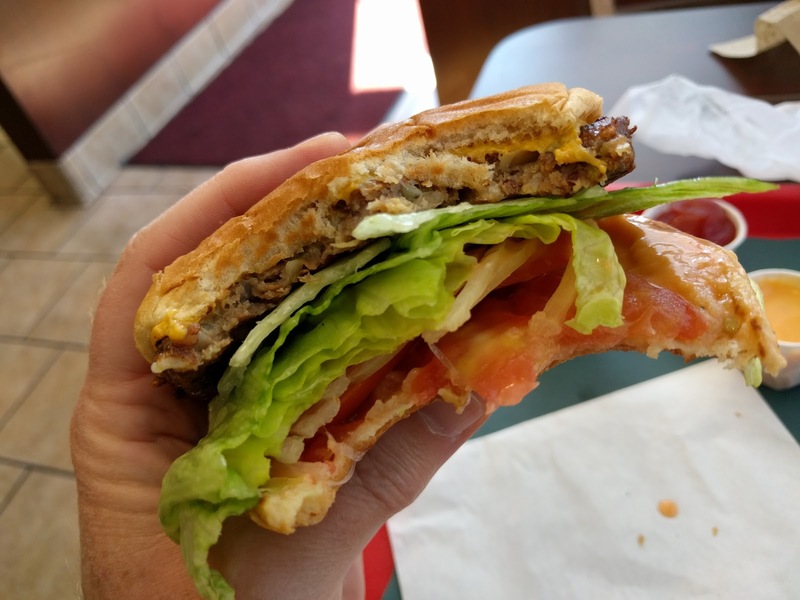 Been to In 'N Out Burger and wondered what would it taste like if it was vegan? 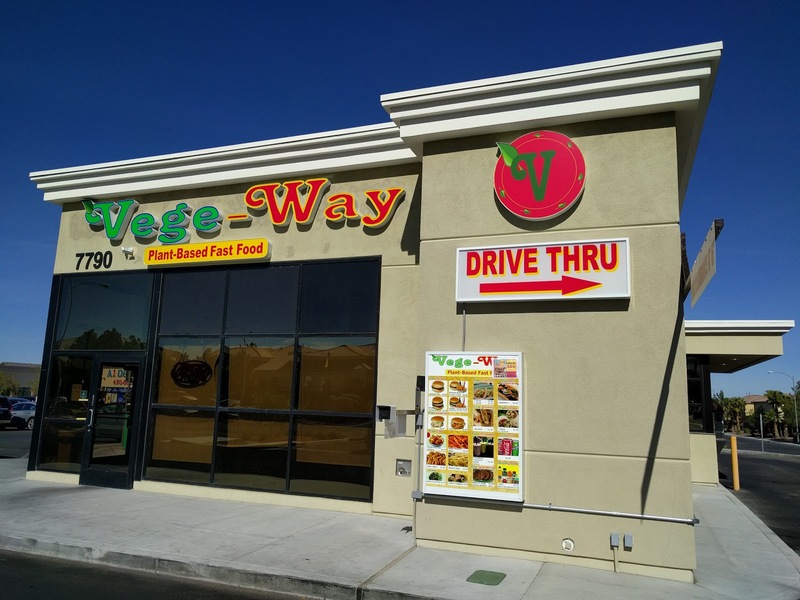 Wonder no more and check out the burgers at Vegeway in Las Vegas. The menu is simple: burgers, fries, and shakes. Simple and fresh and served up fast. There's a drive-thru, too. And it's not expensive, either, like sometimes happens with vegan grub. The burger is juicy and tasty. This is a great fast food burger. I had a side of sweet potato fries. These were definitely some of the best I've had. Thin, crispy on the outside, and not greasy. Your photo of those crispy sweet potato fries alone has convinced me that Vege-Way is worth the stop, Steve! Hi Melodie! Vegeway is definitely worth a visit. Las Vegas surprised me with its number of vegan restaurants.